Should well-meaning Nigerians, corporate organizations and religious groups ignore the government’s passionate plea for support in the provision of economic and infrastructural succor to the citizenry? That was the riddle that threw an entire class during my secondary days into a web of high voltage confusion. On that day, at that time, and in that place, while the vast majority argued that it is the universal responsibility of government to provide economic and infrastructural succor to the citizenry which the instrumentality of participatory democracy and election of leaders confer on them, others argued that if it has been said that government has not business in business, what business does the private sector or citizens have in helping the government do its business of providing quality governance to the populace? Despite these tough positions, the emphasis has today shifted to two sterling examples of how to respond. Foremost, the fundamental change of direction is the v2030 sustainable agenda which currently preaches partnership and collaboration at its centre. In addition, it clearly specifies that the scale and ambition of this agenda calls for smart partnerships, collaborations, ecosystem thinking, co-creation and alignment of various intervention efforts by the public and private sectors and civil society. Again, the recent decision by the Kukah Centre (TKC) to introduce skill acquisition centers in the Northern part of the country where about 10 million Almajiri children will acquire vocations of their choice has reinforced the fact that it requires but a productive collaboration by the government, corporate organizations and well-foresighted citizens to build an enduring nation. Adding context to this discourse, it was in the news recently that Mathew Hassan Kukah- a well-informed, self-contained and quietly influential Bishop of the Catholic Diocese of Sokoto had during a four day workshop tagged ‘’Interfaith Dialogue and Engagement’’ for Christians and Muslims in Minna, Niger state that the Kukah Centre (TKC) will introduce skill acquisition centers in the Northern part of the country where about 10 million Almajiri children will acquire vocations of their choice. Certainly, with the slow economic but high population growth in Nigeria, the programme is viewed as an effective tool for fighting unemployment and consolidating economic growth. However, at about the same time the initiative was being celebrated by the watching world for its practical and systematic ability to tackle the hydra-headed economic and security challenges in the country, strong voices were raised against the imitate by some concerned Nigerians and groups with the strongest and most recent coming from the Muslim Rights Concern (MURIC). 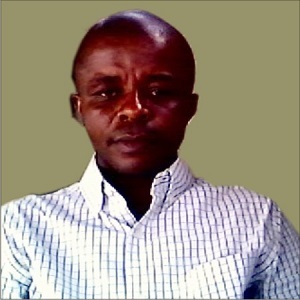 Rejecting the programme, the group via a press statement signed by Professor Ishaq Akintola, the director and founder of the organization stated that they cannot pretend to be so naive as to entrust their Muslim children to the hands of Christian gospellers while describing the initiative as a Trojan horse. Theoretically, the correctness of the above caution cannot be faulted particularly as it is a long-standing warning that leaders of any group ‘before taking a decision that has a far-reaching effect on members must write down each point of uncertainty, estimate the probability of a positive or a negative outcome in each case, and access the probable impact on the overall result if each decision should end in a negative outcome’-but not without a caveat- the rule has the capacity to falter opportunities. Could the above point, therefore, validate the fears as expressed by MURIC? Certainly not in any appreciable way as they is striking contrast in application. Explicitly, experience indicates that the group’s argument was not only ungraspable but likened to starting a project and thinking of all the things that cannot be done and then merely ask what possibilities are left?- In my observation, such a mindset will almost certainly be unable to break out of your existing situation. The reason is barefaced and comes in double fold. Normally, aside the fact that we cannot at this critical moment of our existence afford to be ‘a nation of isolationists’ or a people where every action is asymmetrically judged by religious or tribal considerations devoid of common sense of nationhood, the belief by MURIC and other critics of the project that participants will lose their faith cannot be founded as history is littered with testimonies of Muslims that attended Catholic primary and secondary schools without getting converted to Christendom. Going by the content of the statement, it has become evident that as a people, the need for a significant mind restructuring is urgent as ‘we cannot solve our socio-economic challenges with the same thinking we used when we created it’. An interesting example is that the world in which we now live is geographically one and ‘the challenge we face today as a nation is how to make it one in brotherhood’. What we urgently need is the development of world perspective to welcome every development opportunity that is not immoral as a nation or religion cannot live alone. Thinking at this level, the questions as to why Bishop Kukah preferred to alleviate poverty among Muslims and other connotations may not come up seeing that unemployment challenge cuts across, regions, religion and tribe- and has led to the proliferation of ethnic militia as well as youth restiveness across the country. 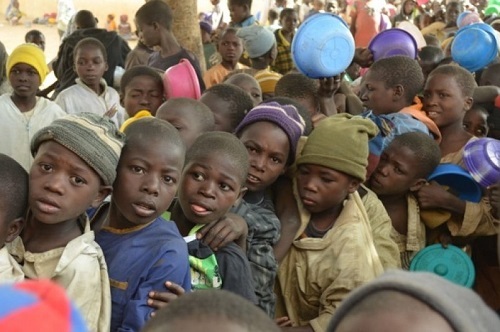 And, the menace of Almajiri is without doubt on the rise especially in the northern part of the country; where the situation in combination with other socioeconomic challenges have consequentially turned Nigeria to a country in a dire state of strait as unemployment has diverse implications. Finally, as the debate rages, what the Anchuna, Ikulu Chiefdom in Zangon Kataf local government area of Kaduna State born catholic cleric needs in my view is support by the government (Federal and northern states governments), and not vilification, a collaboration from the Islamic leaders and not regulation. The reason is that the future of our nation depends on these young people as their generation shall definitely provide the next generation of leaders.